NEW EDITION: The Second Edition of this classic handbook combines Volumes 1 and 2 of the First Edition into a single volume, adding updated commentary and many new case histories. 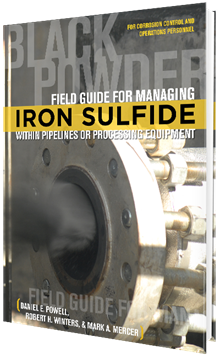 Mechanisms and numerous case histories illustrate general, localized and galvanic corrosion, environmental cracking, erosion-corrosion, cavitation, fretting, intergranular attack, dealloying, and high-temperature corrosion. 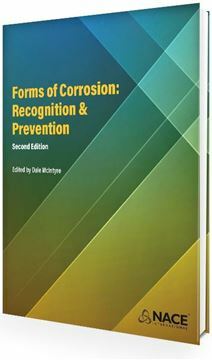 This book presents detailed corrosion mechanisms and case histories of a wide variety of corrosion problems from chemical plants, oil production and refining, utilities, pipelines, transport by air, land, and sea, electronics, and the preservation of historical artifacts. The uses of advanced analytical techniques such as electron microscopy, metallography, energy-dispersive X-ray spectroscopy, Aüger spectroscopy and electrochemical techniques are presented to illustrate their utility in corrosion failure investigations. As CORROSION journal celebrates 75 years of corrosion mitigation and control research in 2019, we offer a selection of articles by decade. These articles remain the most viewed research articles of their respective decade, highlighting important topics, experimental methods and discussions surrounding the pertinent research of the day, and they continue to provide intelligence, perspective and insights for today’s corrosion research. 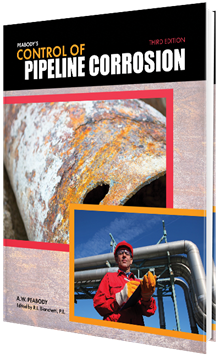 Underdeposit corrosion (UDC) has been recognized by the oil and gas industry as a major threat to the integrity matrix of the production and transportation of oil and gas and has frequently been blamed for high corrosion rates and loss of containment during operations. 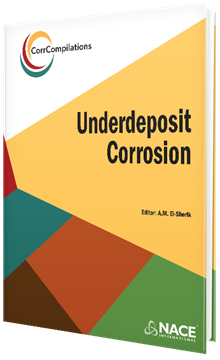 The content of this NACE International CorrCompilation: Underdeposit Corrosion covers a wide range of topics that were assembled to help the reader better understand and assess UDC threat, determine the corrosion mechanism(s) responsible for the UDC, and adopt the appropriate mitigation strategies to target the active corrosion mechanism(s). The topics include proper identification and characterization of the deposits encountered in oil and gas production and transportation systems; laboratory UDC testing methods to determine responsible UDC corrosion mechanism(s) and evaluate inhibitor performance; UDC threat assessment through modeling and prediction of solids transport and settling; Internal Corrosion Direct Assessment (ICDA) methods as a means to assess UDC threat; identifying and applying appropriate UDC preventive and mitigative strategies; and finally, case studies to elucidate real examples of how UDC was identified and managed. 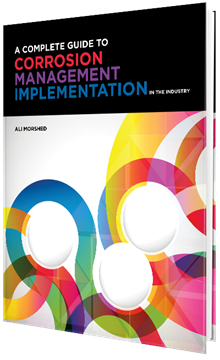 This book presents new developments that have affected the commercial use of chemicals and devices to clean industrial equipment. This second edition will emphasize the mechanisms of important cleaning processes and solvents and will give an overview of the science and technology of the formation and removal of fouling deposits in the industrial equipment environment. It is directed to a general technically trained audience, with emphasis placed on the basic chemical and mechanical principles of industrial cleaning (IC).